It all went down right there in aisle 7: Boy sees toy. Boy wants toy. Mom says "no." Boy throws a colossal fit that melts Mom into a puddle of frustrated humiliation. We've been doing this dance for decades, us and our children. No matter how many toys are scattered in the playroom or around the yard at home, my children will always want the shiny new one they see right then. It's an ongoing battle with the "gimmies." The "gimmies" is what I call that have-to-have-it-now attitude that dominates my offspring in any retail setting. Who are we kidding, I struggle with it as much as they do; I simply have enough control to not throw myself into a full-blown tantrum in the middle of Target. It's a constant struggle in our age of marketing overload. So, what is a parent to do? Here's how we approach it in our family: Money = work. When kids associate money with work, they are less likely to develop a sense of dis-contentment that can lead to the "gimmies." In his article, "Teaching Your Kids About Money," financial guru Dave Ramsey says, "Kids need to make an emotional connection between work and money at a young age." Following Ramsey's advice, we created a list of jobs around the house. A dollar amount was assigned to each job, and whoever does the work gets the money. The jobs and payments are age-appropriate for our 5- and 8-year-olds. For example "feeding the dog" (a daily activity) will earn you $.25 but "raking the leaves" (a once-a-year chore) will bring in $3! As they grow older, the jobs will grow more difficult and the pay will increase. We record their earnings on a chart throughout the week and tally them up on "payday." We made three simple jars labeled: GIVE, SAVE, SPEND. (Get a free printable here to help you create your own jars.) When the kids earn money, they divide it between the three jars. "The concepts of spending and giving help develop problem-solving skills," explains Ramsey. "You're laying a foundation for their lives." GIVE. As Christians, we believe in the biblical principle of tithing, so our kids are expected to put at least 10% in the give jar when they are paid. (We help the little ones who don't know percentages yet.) On Sundays they empty their GIVE jars and take their tithes to church. If we want our kids to have a realistic view of finances, we must teach them to be givers as well as savers and spenders. SAVE. We encourage our kids to put at least 40% in their save jars. This money is set aside for bigger items they want that mom and dad are not planning to buy. (Mom is not paying an extra $15 for a name-brand label!). They each choose the item they want to save for, and we print a picture to put by their SAVE jar. SPEND. The balance goes into the SPEND jar. They can take this money with them when we go to the store for something small they might want on a whim. To our surprise, our kids have consistently chosen to put most of their earnings in their SAVE jars and have already made some great purchases. It's helped to curb the "gimmies" that strike in the toy aisle, too. Instead of having a meltdown over a desired toy, we simply add it to the "save for" list. While we have not banished the "gimmies" in our house, we have managed to gain a little ground in the battle. More importantly, we are striving to raise financially responsible children who will one day become hard-working adults who can manage their resources responsibly. Nancy is a lover of words and all things chocolate. 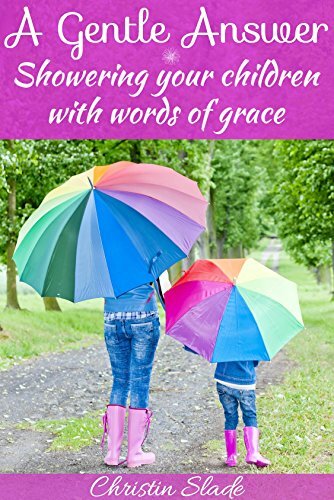 She is married to her best friend, and when she’s not settling sibling squabbles between her Little Miss and Little Man, she can be found sipping coffee and writing about faith, family, and finding grace in the journey. 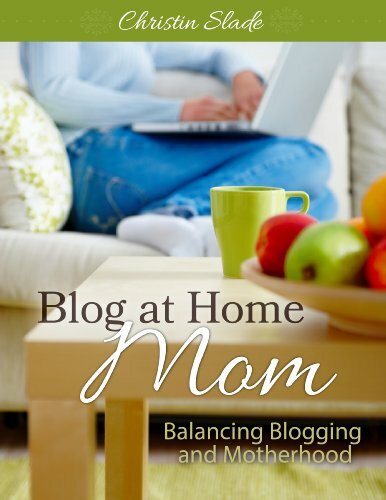 She blogs at There Is Grace. Tiny hands grabbing your finger, your child’s first smile, the wobbly first steps, the first tiny kisses, watching your kids sing in a Christmas pageant, celebrating an “A” on a tough test, holding them when they fall down and hurt themselves, magical band-aids, whispered bedtime prayers, and a bouquet of weeds brought in from a summer day. Don’t these moments bring you joy? All of these moments are tender, happy, and precious. They’re fleeting. They’re moments to treasure, cherish, and hide in our hearts. Or maybe you’re having a hard time finding joy in motherhood. Things like never-ending messes, tantrums, angry outbursts, and fatigue overwhelm you. Your heart is heavy perpetually. You just feel like something is broken. Joy in motherhood is a funny thing. Motherhood is wearying, and yet there are those precious moments. Those moments however aren’t why motherhood can be joyful. In fact, these precious moments are empty if we don’t cherish the one thing that brings true hope and true joy to our mothering. True joy cannot be had in motherhood apart from the Jesus, His cross, and His resurrection. Without the cross, our children don’t have the hope of God’s forgiveness or strength. Without the cross or the resurrection our children have no hope of Heaven. Without Christ, our children have no hope of a life filled with purpose. 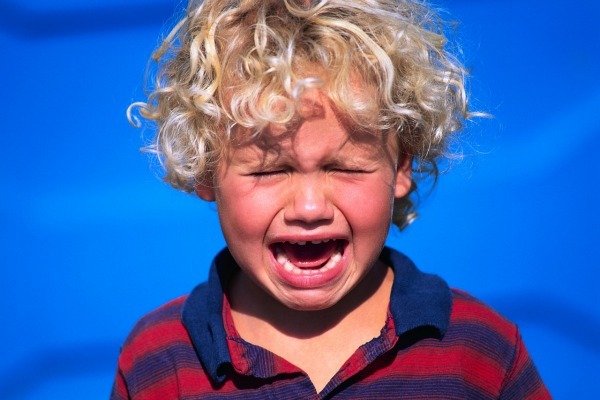 All the Eskimo kisses, hugs, and cuddles in the world can’t bring true joy. True joy in motherhood begins because Christ came to save, Christ came to bring peace, and Christ came so we and our children can live life more abundantly. I know what true joy is because I’ve felt it. Holding a baby isn’t true joy, but in the words of Bill Gaither, holding a child and knowing “He can face uncertain days, because He Lives” does hold true joy. I can’t imagine being a mother not having the assurance that my Jesus lives. Life would be empty, and all those tender moments would ultimately be pointless. the animated, the agitated, and the content; every moment contains joy. Every moment can contain joy because that joy always comes from the hope that Christ brings us. The only hope for true joy in motherhood is found in Christ and Christ alone. If you are struggling to find joy in parenting, rest assured our Lord and Savior is close, and it is because of Him and His sacrifice that we can treasure each moment and memory. Joy doesn't need to be an outward display unbridled ecstasy though. Our joy begins I like to think of the special moments in motherhood as tiny glimpses of heaven. The snuggles, the giggles, and the little blessings, are a shadow of the amazing joy that is to come if our faith rests in Christ. That is the true joy of motherhood.with the peace that the Lord holds our children’s and our futures in His hands. Our joy is in knowing the promises that hold true in our lives will hold true in our children’s as well. What are some ways you have struggled to find joy in motherhood? KM Logan is a wife, mother, teacher, and author. She is wholly inadequate but strengthened by the Lord. She'd be tickled pink if you stopped by her blog and said hi. The day I walked through my house one last time was the day I felt most abandoned by God. As I reached the front door, knowing it would be the last time I opened it, all of a sudden I couldn’t do it. I couldn’t open that door and walk to the truck piled high with our belongings. I remember resting my head on the doorframe as tears filled my eyes, asking myself, "How did we get to this place?" Oh, I remembered all the mistakes we had made, but when we finally began to wake up, we immediately turned to God. We thought he would come through. He didn’t. 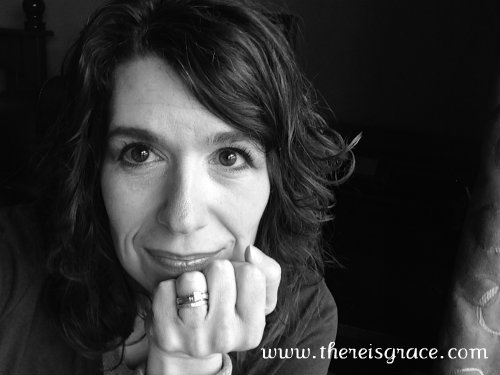 Our house went into foreclosure, we moved into a rental house, and God didn’t seem to care. God had let me down. My whole Christian life had been built on this understanding of God being our provider—the one who we went to when we had a need, knowing he would provide. Where was he? Why wouldn’t he provide a job so we could maintain our standard of living? Recently, I cried as I listened to a lady on the radio, she was crying as she explained to the host she only had five days until she had to move out of her rental home. They had lost their jobs. She was sharing how many people told her “to have more faith.” Those are hard words to heed when, in your heart, you have mustered up as much faith as possible and you’re still faced with unthinkable circumstances. I wish I could have spoken to her, telling her how those of us whose hearts feel abandoned can find healing through a passage in John 10:11–14 when Jesus says, “I am the Good Shepherd.” If only someone would have shared the role of a shepherd when I was going through our foreclosure, I believe it would have made such a difference. Maybe in your mind, you only see a shepherd walking with a big stick through lush fields while the fat, happy sheep graze. That’s what I pictured and it was far from my reality! So, I never connected with Jesus as my Good Shepherd. As I thought on Jesus saying, “I’m the good shepherd” I began to wander what he meant. I know the shepherd is entrusted in caring for the sheep as they follow him, and they depend on him for safety and provision. But how does a shepherd actually shepherd? A shepherd mostly lives in an environment that is hostile to the sheep. Every day the shepherd leads his sheep through rugged terrain, looking for the two basic necessities of life: water and food. The sheep follow him, facing dangers all around—sometimes of their own making when they stray too far. Other times the dangers are simply life in the hostile environment: predators, thorns, and holes in the ground. I started realizing my life was being lived in a hostile environment, much like the sheep face. The most astounding aspect of shepherding is what happens night after night as the sheep go into the sheep pen. The shepherd bends down running his hands over each sheep with love, carefully inspecting them. He looks for any cuts, debris stuck in their coats, or anything that has hurt them during the course of the day. Within his capable hands is the power to mend, remove, and treat any harm the sheep has sustained. This would have been so helpful in the midst of my own hurts. The realization of how each night Jesus wants to address my hurts from the day, frees me from the burden of striving to attain my shepherd’s notice. I don’t have to go searching for my shepherd’s care; I already have it! If only I had realized how willing Jesus is to care for my battered heart. Friend, maybe you’re struggling too. If you are one of the many facing very difficult circumstances, knowing Jesus is your Good Shepherd can bring strength to your daily life as you walk out your door. The Good Shepherd is with you, as you walk through this hostile environment. I promise he sees the hurts, the doubts, and the fears. Not only does he see them, but there is also caring and healing in his hands. Believers in the early church also faced circumstances where their lives changed drastically in the blink of an eye. They faced it by living lives devoted first to Jesus but also each other. They knew the Good Shepherd not only cared but had entrusted them to be his physical representatives. They came alongside of each other and helped one another. One of my most vivid memories is sitting at table with a couple we are good friends with. For the first time in our life, we feared we wouldn’t have enough money to pay our bills. I’m talking about the bills that matter: electricity, water, groceries, the necessities of life. We were asking them to pray for us, and they offered not only prayer but money. We decided together to wait until the end of the month. God ended up providing some odd jobs for us, but the impact of their willingness to help changed my view of true Christians. I saw how the Good Shepherd was caring for me. Their willingness to help is pictured in Acts 4:32 when the early church held all things in common. Are we willing to share what we have, even in days where our instincts tell us to hang on to what we have? I pray that for those of you struggling to realize what shepherding means to those of us who belong to Jesus. I pray you are surrounded by Christians coming alongside of you with an offer to help. At the same time, I pray all of us take the opportunity to share what our Good Shepherd means to us, and become willing to step in and help where we can. Jenny is giving away a copy of her book to one reader. Woot! Just leave a comment briefly sharing how you this book might help you? U.S. residents only please. Winner will be randomly drawn and contacted by Friday. You can purchase Seriously God in paperback or Kindle. Jenny teaches at her local church, conferences, retreats, banquets, or wherever women gather to hear hope from God's Word for their lives. 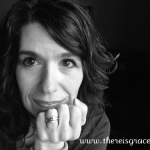 She is a contributing writer for Encouragement Cafe and Laced with Grace. She is also a graduate of She Speaks and can often be found surrounded by books with pen in hand, writing in her favorite notebook. She loves country life in Adairsville, Georgia, with its clothesline and all, with her husband, Chad, and their three daughters. If you want to know more about this country girl with a passion for God's Word, then visit with Jenny at www.keepinginstride.com. Today's guest post is from author and speaker, Keith Ferrin. When I was a kid, I didn’t like reading the Bible very much. I didn’t dislike it. I believed it was true, and I thought that was enough. Thankfully, that all changed in my 20’s. How that happened is a long story, but the bottom line is I love the Bible now. My wife and I have three young children. We want them to start loving it now…not fifteen years from now. We know that if they believe it’s true – and enjoy it – they will be much more likely to read it, internalize it, and be shaped by it. In my book – Like Ice Cream: The Scoop On Helping the Next Generation Fall in Love With God’s Word – I boil down a year of conversations with parents, children’s pastors, and youth pastors into nine principles for helping kids love the Bible. Let’s look at one of them. First, the What: Read It Together. I hear countless grownups tell me about the books that their parents read to them. Little House on the Prairie. Nancy Drew or the Hardy Boys. The Chronicles of Narnia was the series in my house. I loved them then. I love them now. I want my kids to feel about the Bible the way I feel about the Chronicles of Narnia. But how? Here are three suggestions. One: Expect it to be good. This is huge. Our expectations typically coincide with our experiences. If we expect the Bible to be fun, we are way more likely to enjoy it than if we expect it to be dry. Sadly, most of us expect the Bible to be true, but we don’t expect it to be engaging and fun. If our own expectations are low, our kids will sense it as we read to them. Two: Learn from Curious George. When was the last time you read Curious George to a little kid? Did you give the different characters voices? Did you read differently when George was joyful, scared, or getting into big trouble? Of course you did! Do the same thing next time you read the Bible to your child. Pretend that you are reading Curious George to a five-year-old. Give the characters voices. Read with passion. Change your tone. Pause. Get louder or quieter. Your kids will have heaps more fun (and so will you). The Jesus Storybook Bible by Sally Lloyd-Jones – This Bible shows how Jesus is connected to the stories in the Old Testament as well as the New. Make sure you get one of the versions with the audio CDs included (Deluxe or Collector’s). The narration is as good as I’ve heard. There are many, many more. Feel free to email me (keith-at-keithferrin.com) for recommendations – or with some I should add to my resource list! Leave a comment sharing why you think it's challenging to read the Bible to your children. One commenter will be randomly selected and the book will be mailed to you next week! For those of you who can’t wait, you can get it from Amazon here. Giveaway ends Tuesday, Feb. 5th, at 11:59pm EST. Winner will be announced and contacted the following day. Please be sure to include your email address in the comment form so I can contact you. Keith Ferrin is a storyteller, author, blogger, and speaker whose passion is helping churches, families, and students fall in love with God’s Word. You can see some clips and connect with him on his blog, Twitter, or Facebook. Find out more about Like Ice Cream: The Scoop On Helping the Next Generation Fall In Love With God’s Word here.